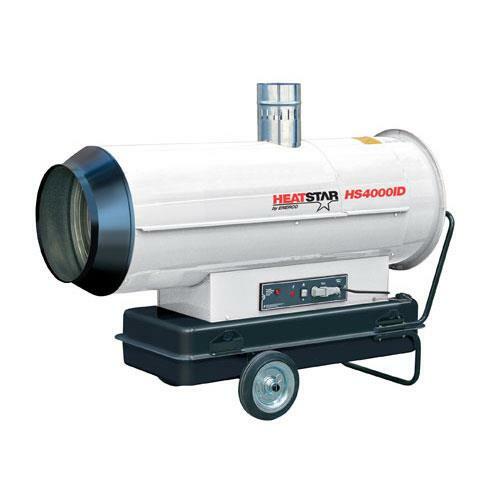 The HS4000ID features electronic flame control, water resistant flame control box, a heat exchanger to keep exhaust gas and heated air separate, powerful fans ensuring high static pressure allowing heater placement outdoors with clean heated air directed indoors and automatic safety and control devices. This unit is most suited for areas such as greenhouses, tents, warehouses etc. * Please call us for any questions on our heater prop 300k 380k btu rentals - serving Washington and Oregon with all your construction equipment rental needs.